Villa Mar in Tijarafe is the ideal accommodation to spend a few days in family in contact with nature. Located in Punta de Tijarafe, one of the places with the best climate all year round on the island of La Palma. The house has 2 large bedrooms, fully equipped kitchen, 2 bathrooms and rooms to make your trip an unforgettable experience in La Palma. 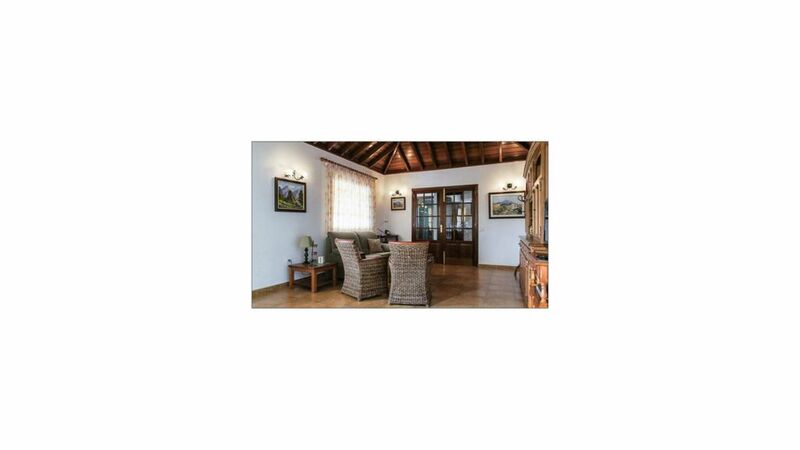 The decoration is meticulous with rustic style furniture according to the character of the villa. It also has a pool, garden and terraces with sea views that will be at your exclusive disposal during your stay. You will also have a private parking area inside the property for your car. When confirming your reservation we will send you a guide of recommendations of the island so you can enjoy your stay on the beautiful island to the fullest. During your stay we will be at your disposal for whatever you need. Enjoy with us Canarian hospitality.